As is the case with any other task, journey, or project that life presents to you, you will always have more fun on a Montana fly fishing trip if you come prepared. This means that you will need to come bearing the proper fly fishing equipment, wearing the right clothing, and wielding an open mind. Read on to learn exactly what you should bring on your Montana fishing trip. When you begin to participate in a sport that makes use of specialized equipment, you soon find out that it may be difficult or even impossible to partake without the proper gear. 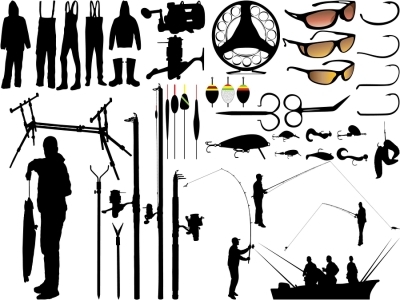 Fly fishing requires a few key pieces of equipment; most importantly, you will need your fly fishing rod. You will also need flies to be cast from your line as well as extra line and a reel so that you can have a chance at catching any substantially sized fish. In addition to the fly fishing equipment you will need for the sport itself, you will also need personal gear to ensure that you enjoy yourself. These items include sunblock and bug spray to keep you comfortable and a camera or binoculars so you can document your adventure and get a closer look at your surrounding sights. Sunscreen and bug repellant can both be heroes when it comes to keeping comfortable throughout a Smith River fly fishing trip, but the clothes you wear will largely decide your comfort level. Even if the weather calls for sunshine, it is always best to over prepare. Keep in mind that you may be traveling at high speeds and weather patterns can always change. Bring a hat, gloves, and a warm jacket, especially if your fly fishing trip is during the cooler months of the year. You should also bring waders to stay dry if you get into the water. Always go into a fly fishing excursion with an open mind. You stand to learn a great deal from your expert guides, and they can help you to have an unforgettable experience. Excitement and optimism are two important elements of a successful trip.